On weekends it is always a heavy brunch rather than breakfast and lunch. 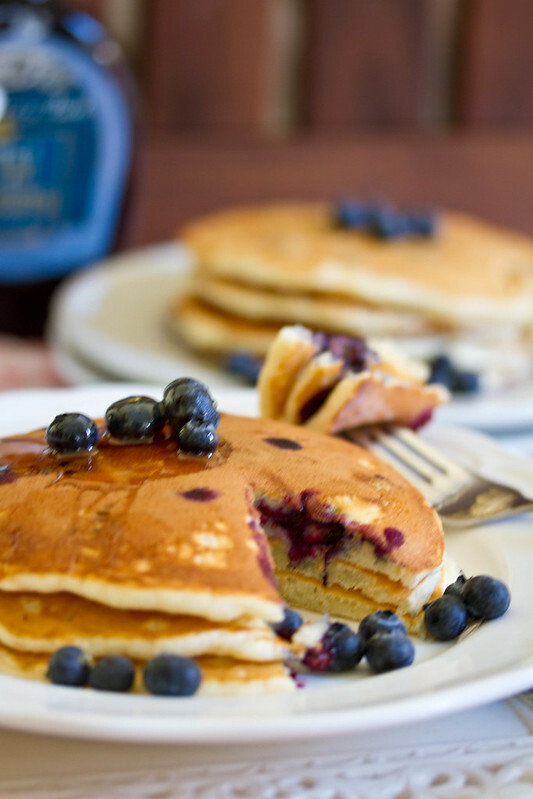 And what could be better brunch than a stack of delicious, fluffy, light and tender pancakes. Fresh fruit or berries with generous helping of honey or maple syrup makes them even more tasty, with everyone wanting more of them. Sift together flour, baking powder, salt and sugar. Keep aside. Whisk together milk, egg, vanilla and butter. Whisking slowly add in the milk mixture into the four mixture, to get a smooth batter. Let the batter rest for 15 to 20 minutes. Add in the blueberries and fold. Pour batter by 1/4 cupfuls onto a hot griddle sprayed with a nonstick cooking spray. Turn when bubbles form on top and cook until the second side is golden brown. Serve with honey or maple syrup and more blueberries. Cook the pancakes on medium low heat to avoid burning. 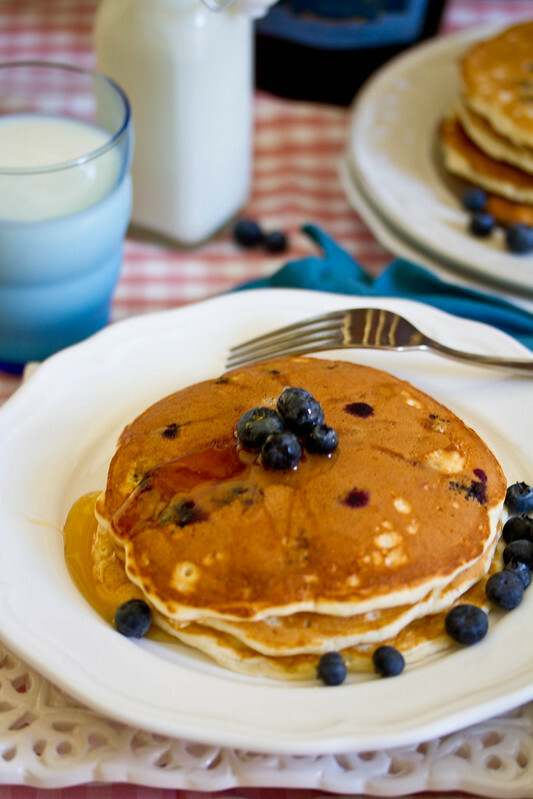 You can skip the blueberries, for the classic pancakes and serve them with fresh fruit like banana or strawberries. Instead of honey or maple syrup, you can make a blueberry compote to serve. Nandita of Nan’s Yum Yum passed me an award. Thank You Nandita, I am flattered. Gosh! That plate is just gorgeous! I’ve got to stir up a batch sooon! 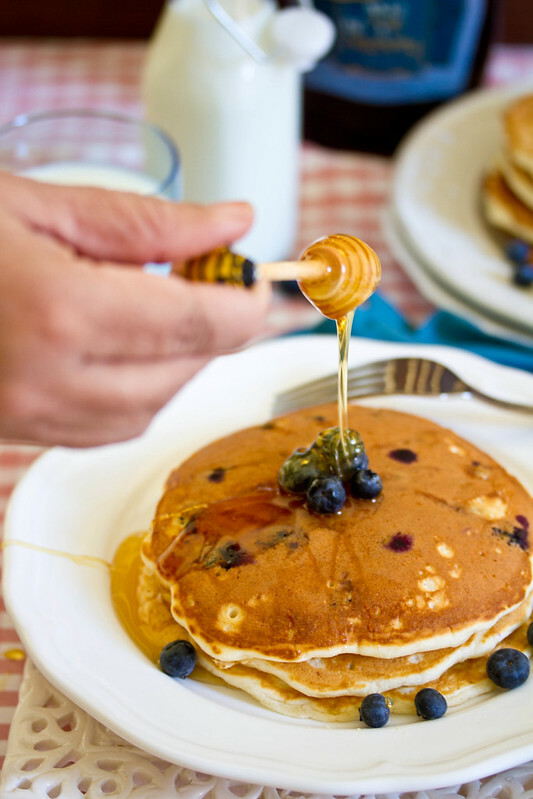 Love the shot of the syrup over the pancakes! 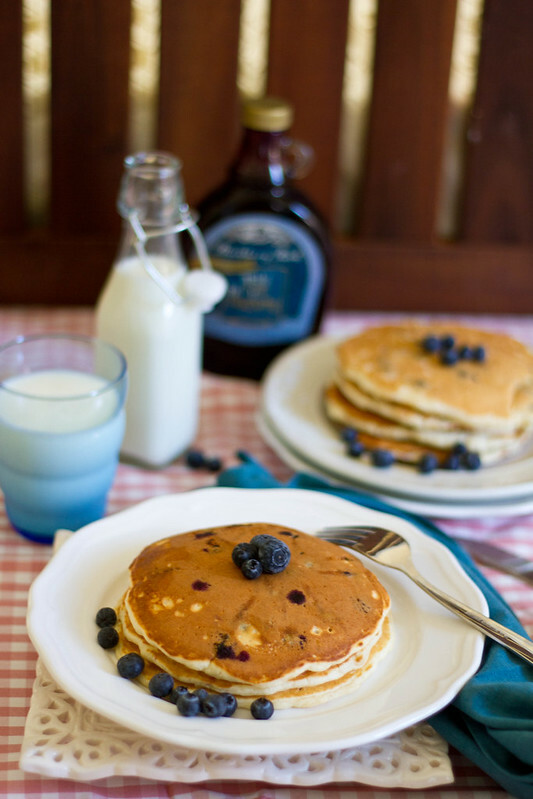 Lovely pictures and pancakes are a staple breakfast dish on weekend. My son loves it with blueberry. So delicious! 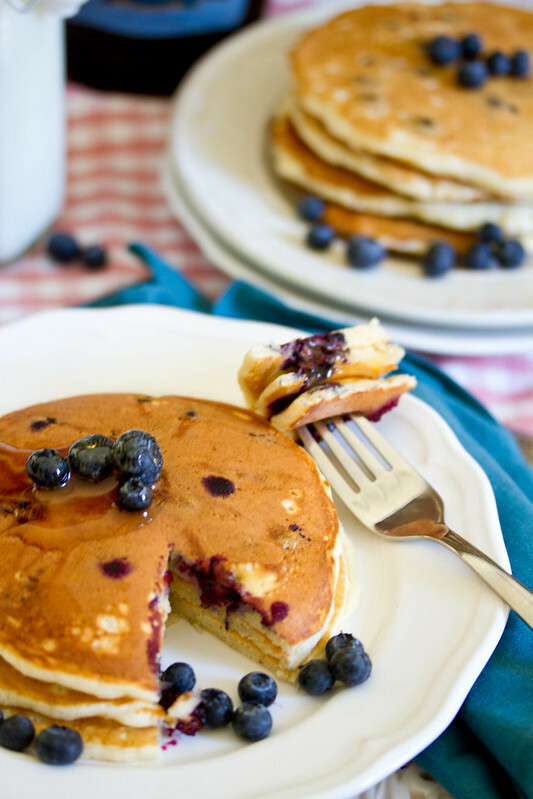 Awee..how I miss fresh Blueberries here..pan cakes look yum! Eye catching cliks and pan cakes. First time in your space. Lovely blog.